Thanks to Dutch goes the Photo! for lending your gorgeous photo so I could share my haiku based on it. Please visit his blog and see where he captured it and details about how; he is kind enough to share technical details. I’ve been writing haiku for a season or so. I don’t know how or when it began, but recently started writing them for small my paintings called Haiku Tiles. Also to amuse myself, I attempted to capture moments with haiku. However since I’m a visual person, I especially appreciate seeing images as well as words. I’ve always taken photographs and as an outlet to share them, I created Five Minute Art. Often, I wrote a haiku to go along with the image. Now when I see a beautiful image, even someone else’s, I tried to describe it to myself as a haiku. Thanks to Sonya of Only 100 Words for introducing me to that concept, here in bloggersville, with her Three Line Tales invitational. When I am satisfied with the results, I share. 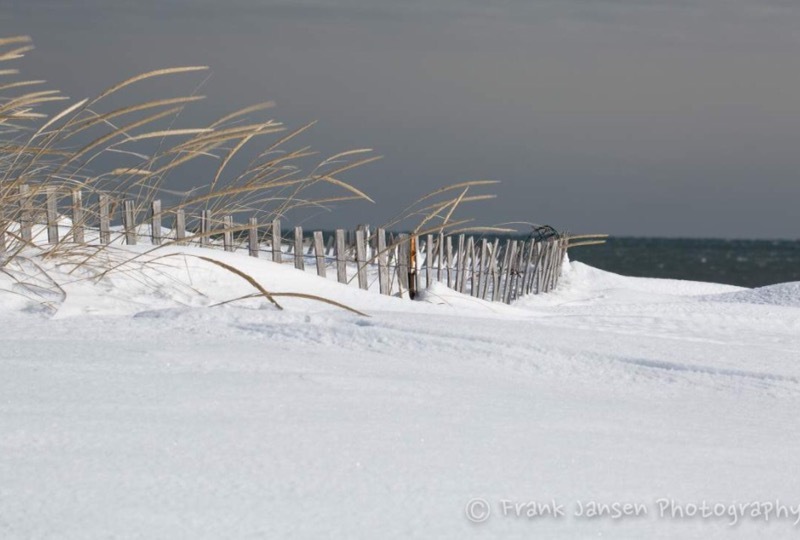 Here is my haiku for Dutch goes the Photo’s Winter Beach image. Fence row set amongst the drift. A wondeful haiku! It fits the scene perfectly, for which I thank you! You are welcome and I thank you for capturing that shot, sharing it, AND your willingness to let me post it on my space. You’re succeeding! Collaboration is a lot of fun! Your ARE feeling my joy! I get to collaborate with artists in my realm of visual arts, so fun to collaborate in this space too! Thanks Sonya and Frank!